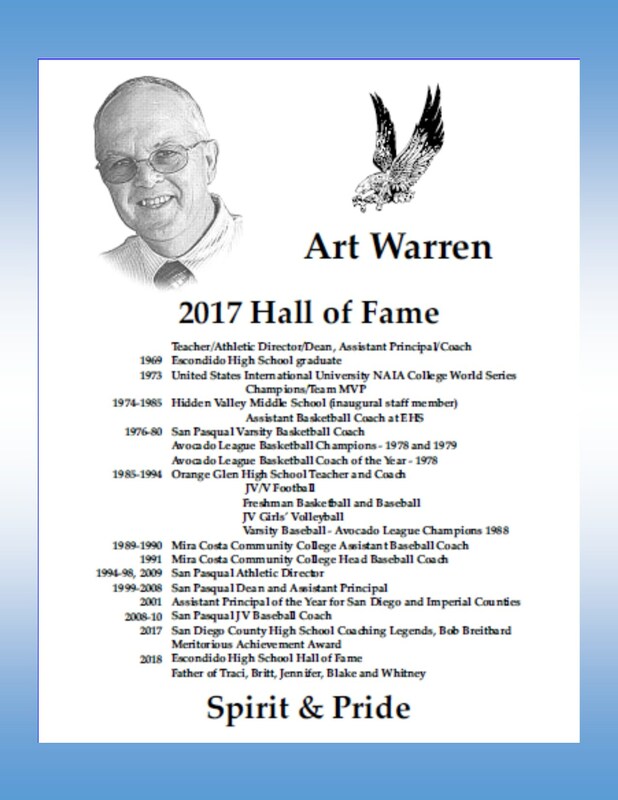 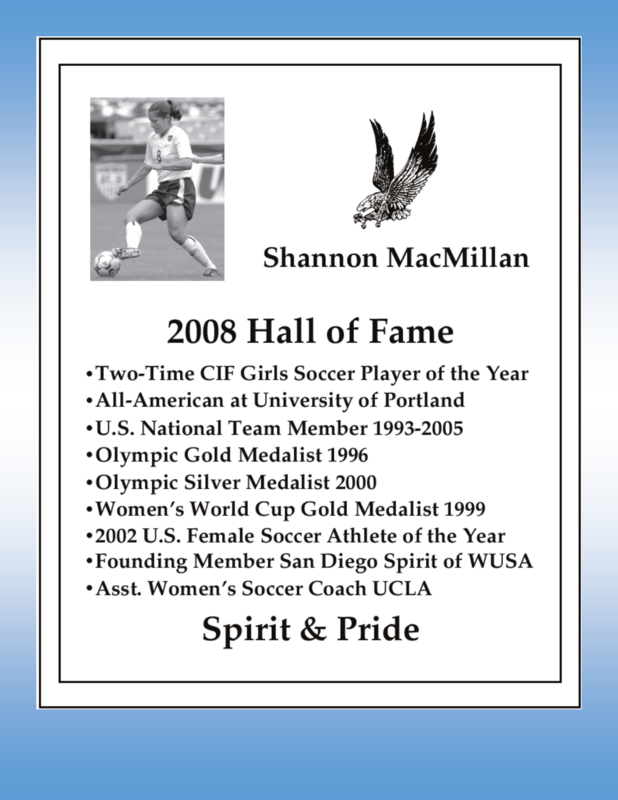 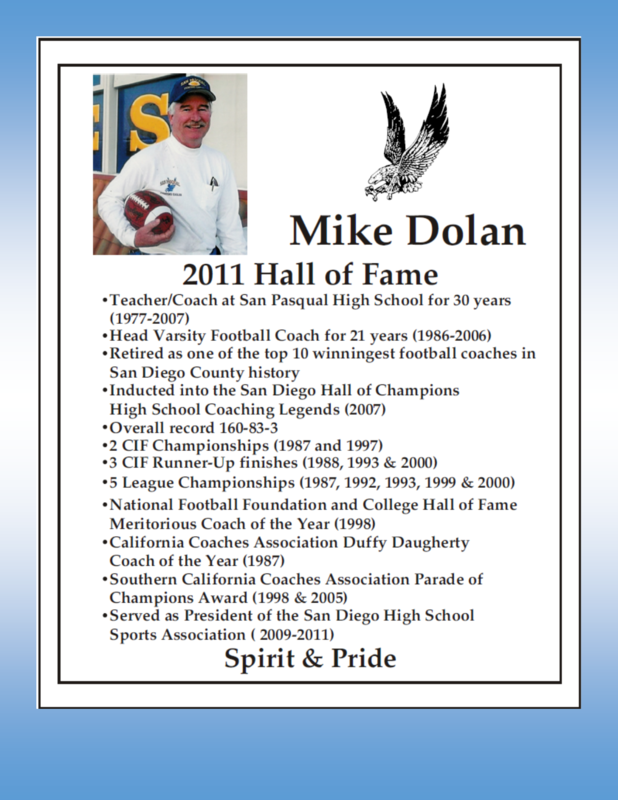 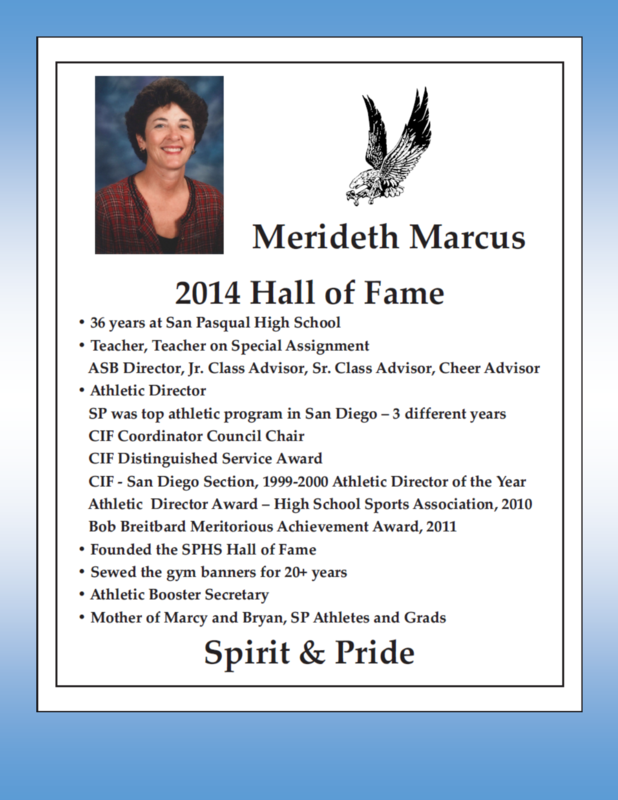 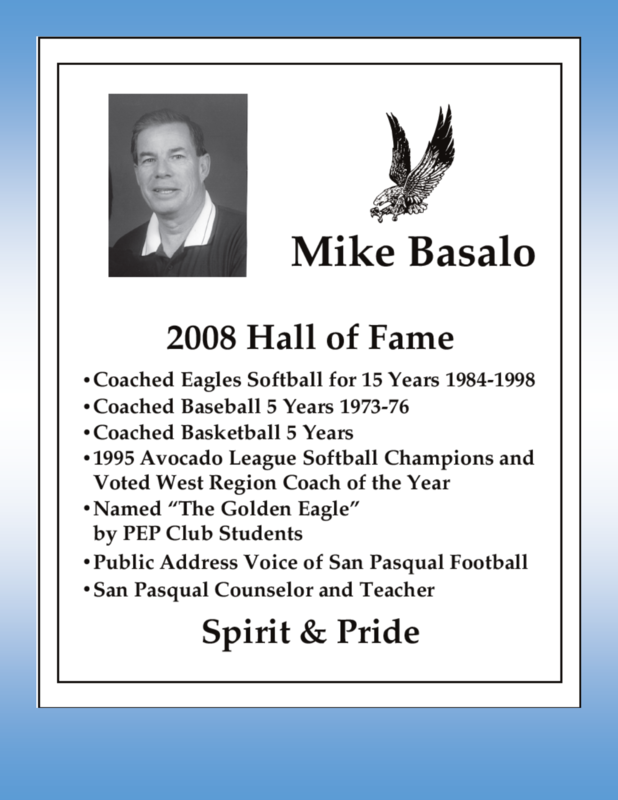 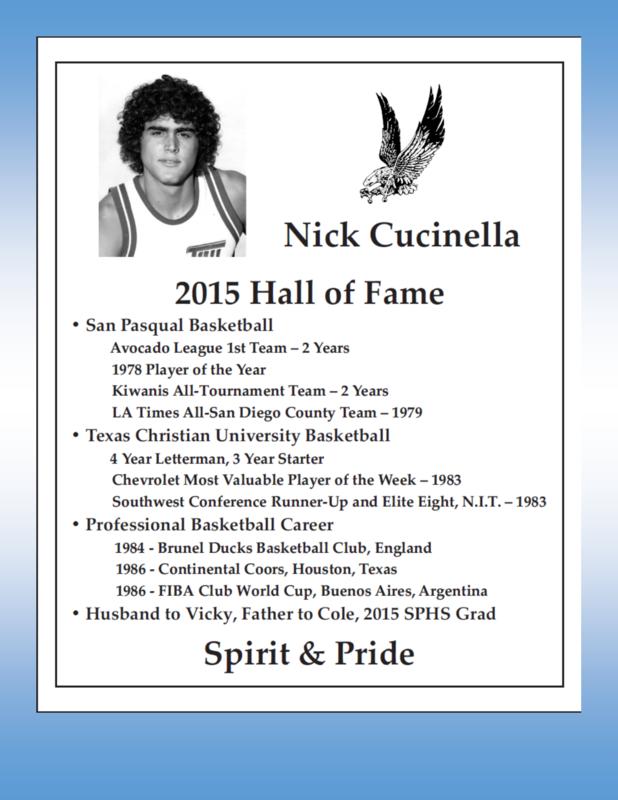 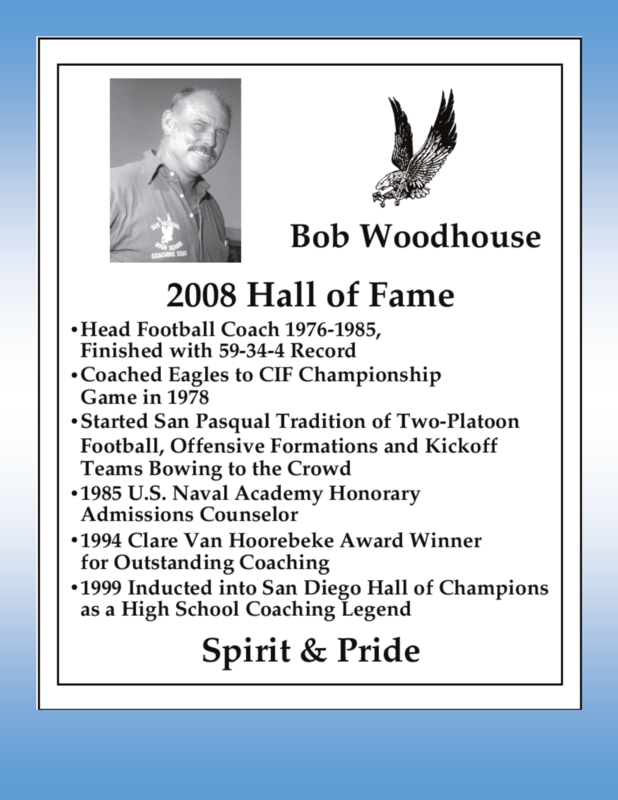 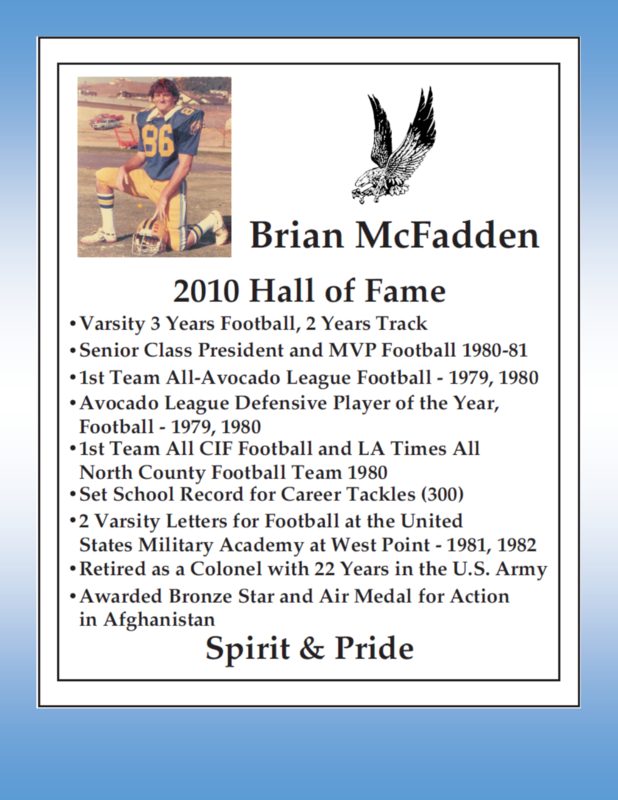 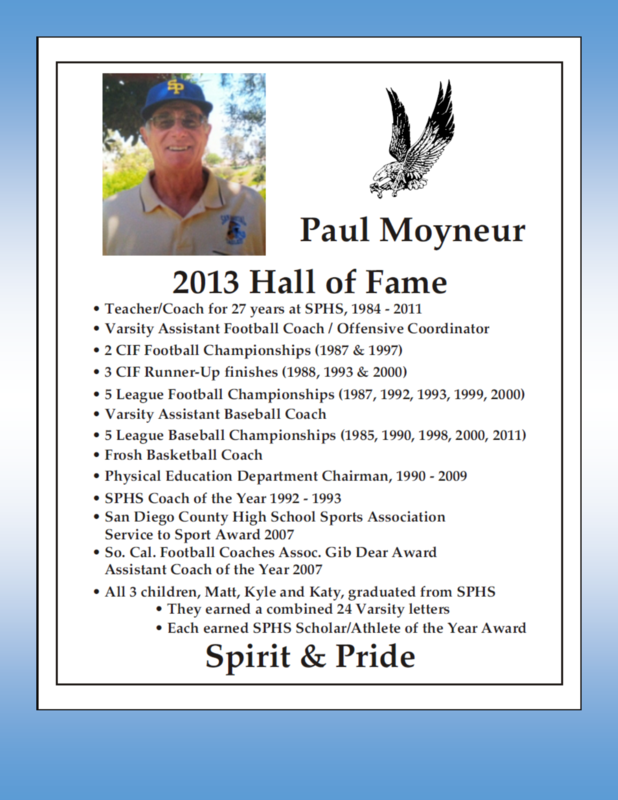 The San Pasqual High School athletic program has been an integral part of the school's history from day one. 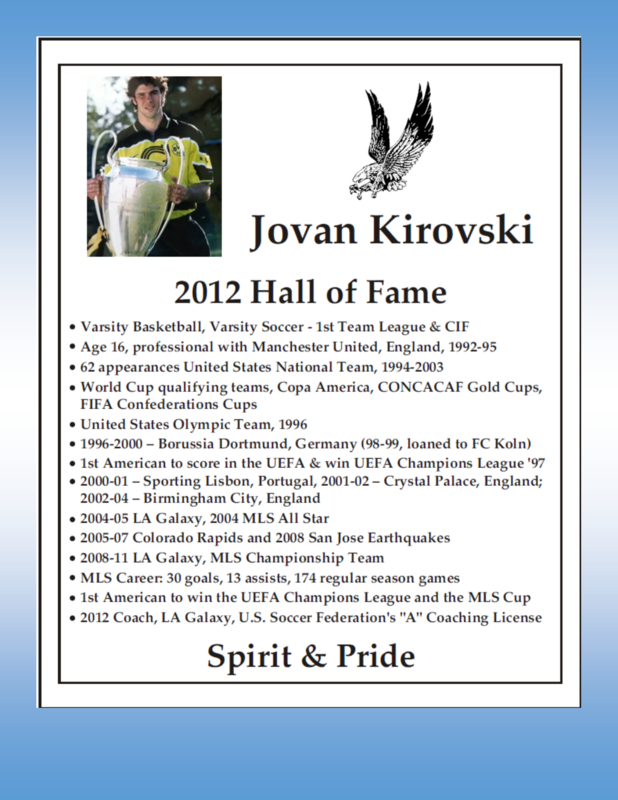 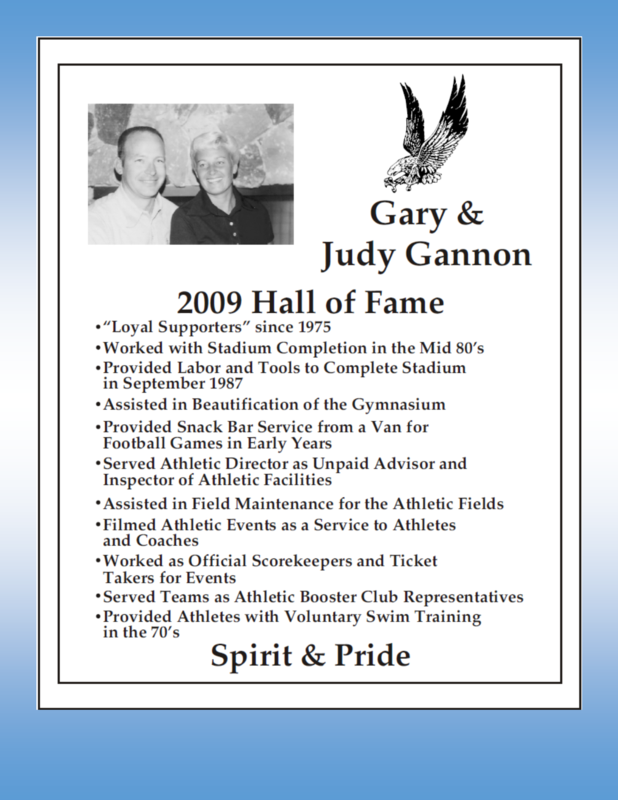 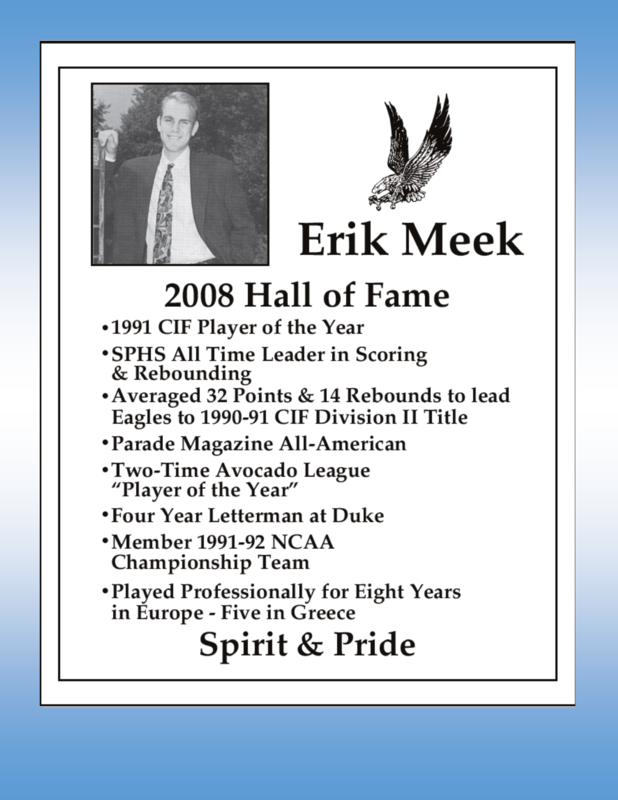 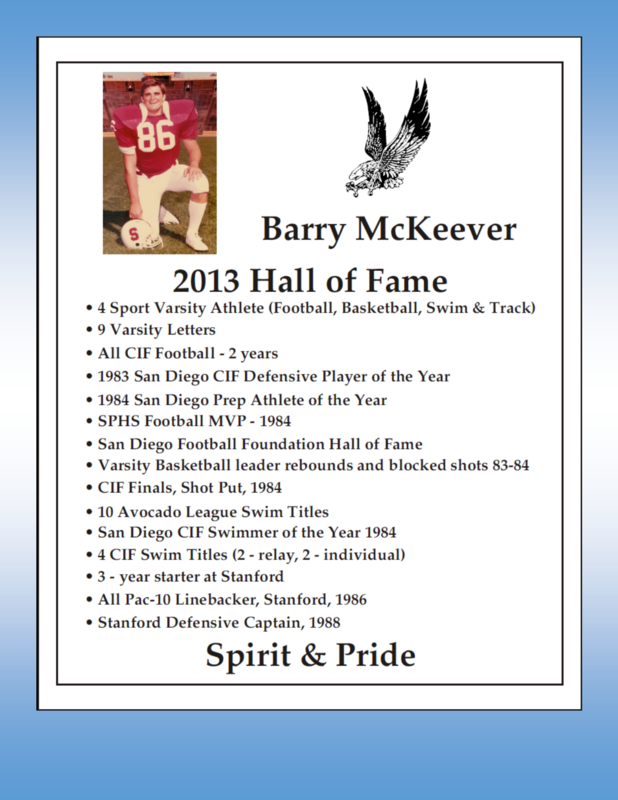 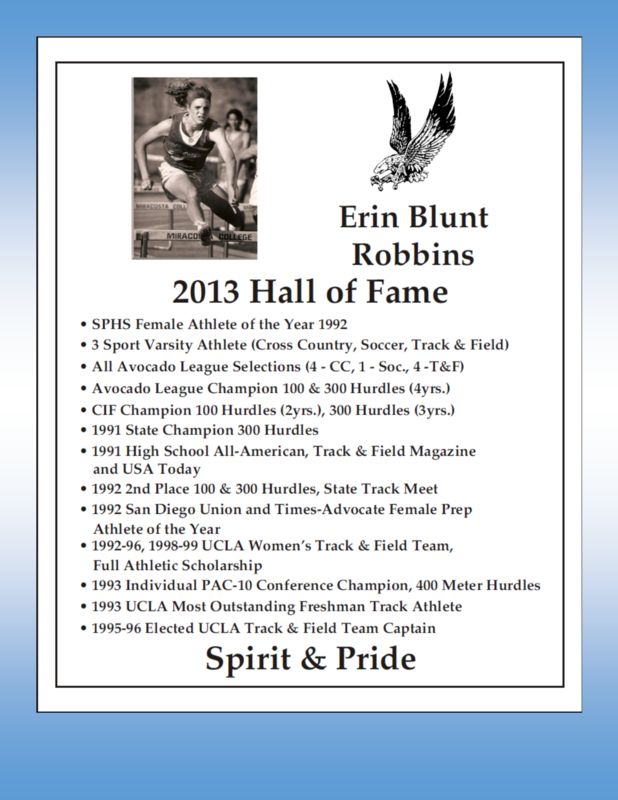 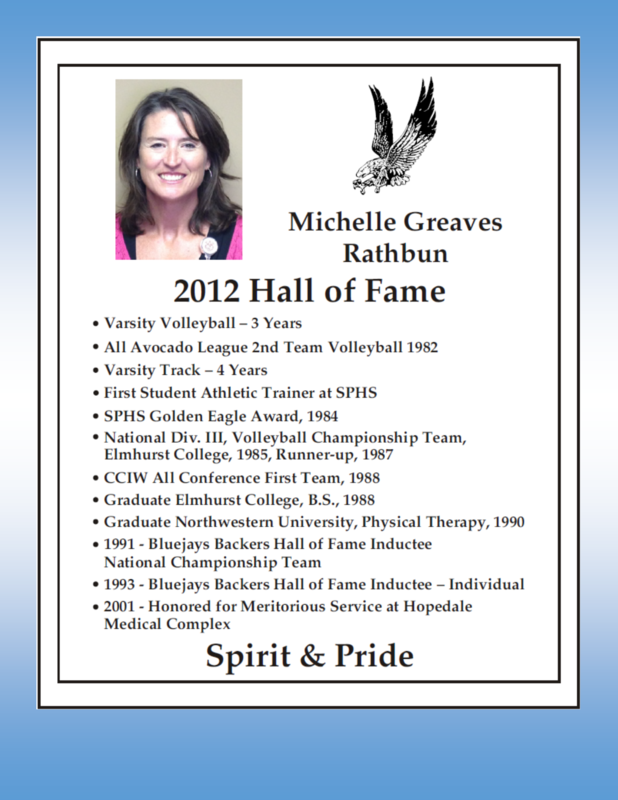 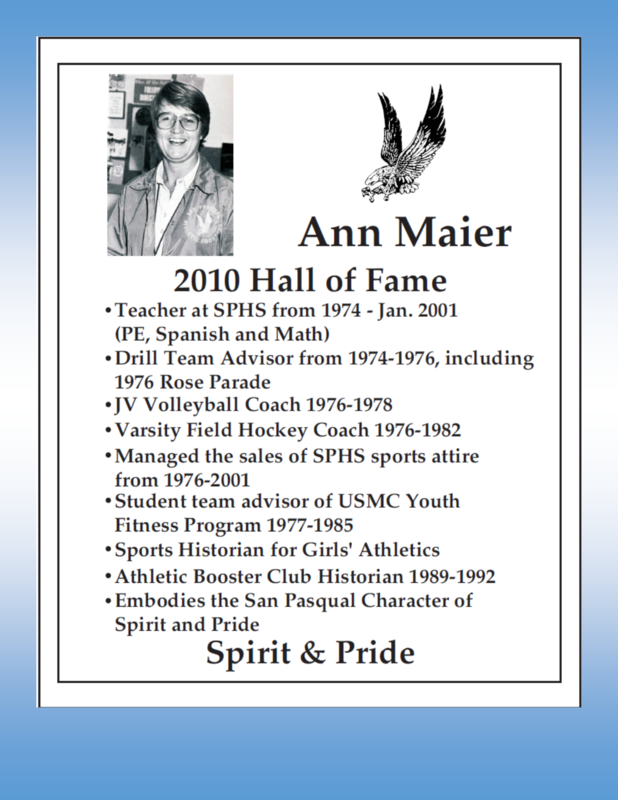 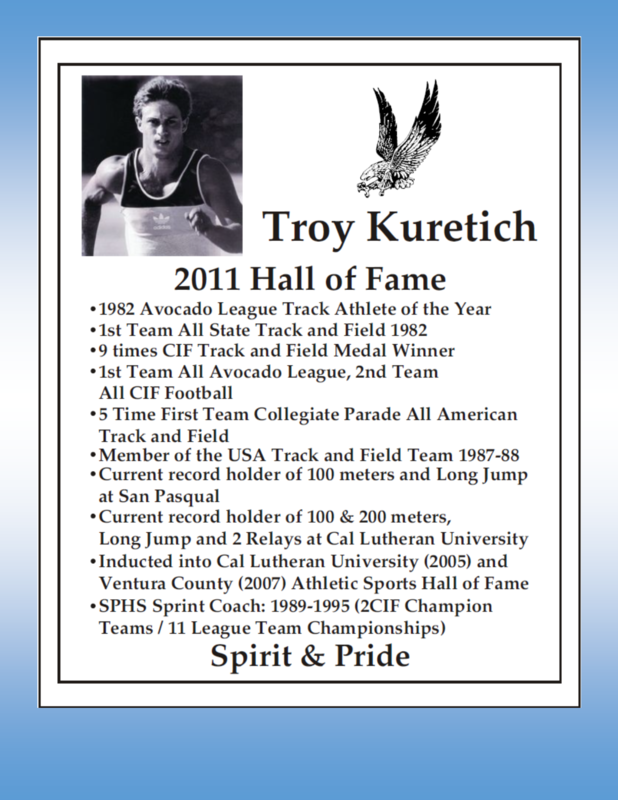 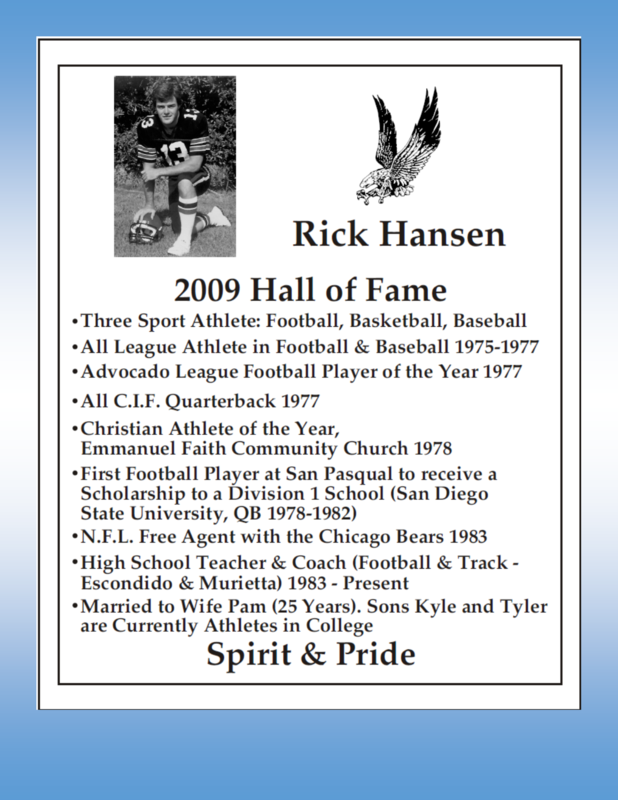 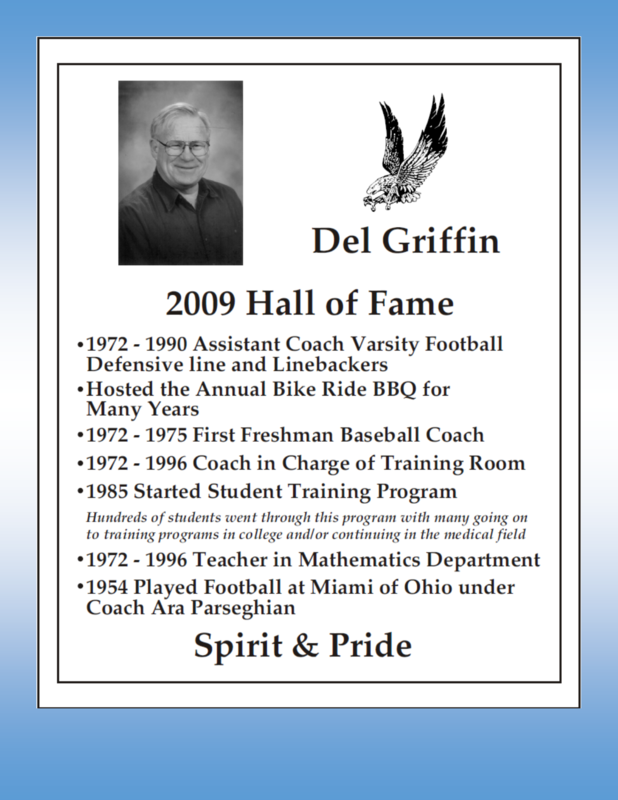 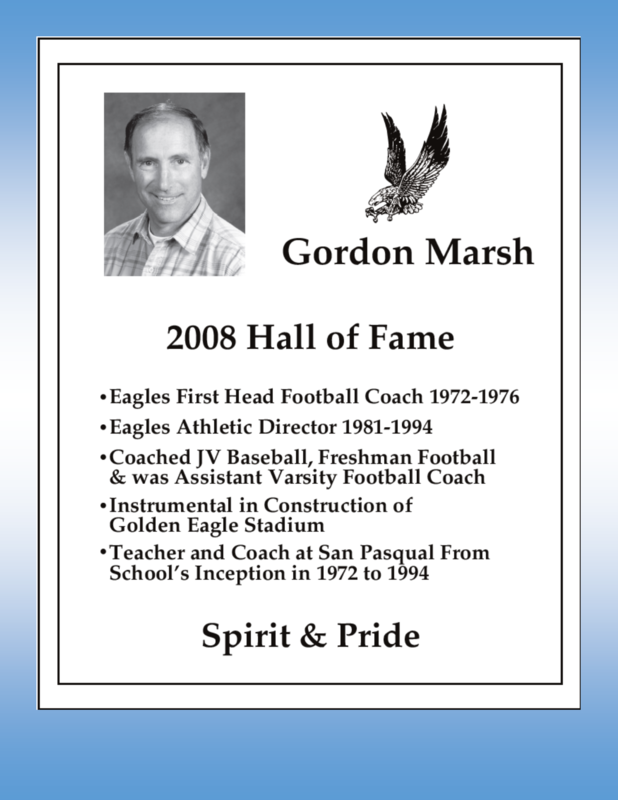 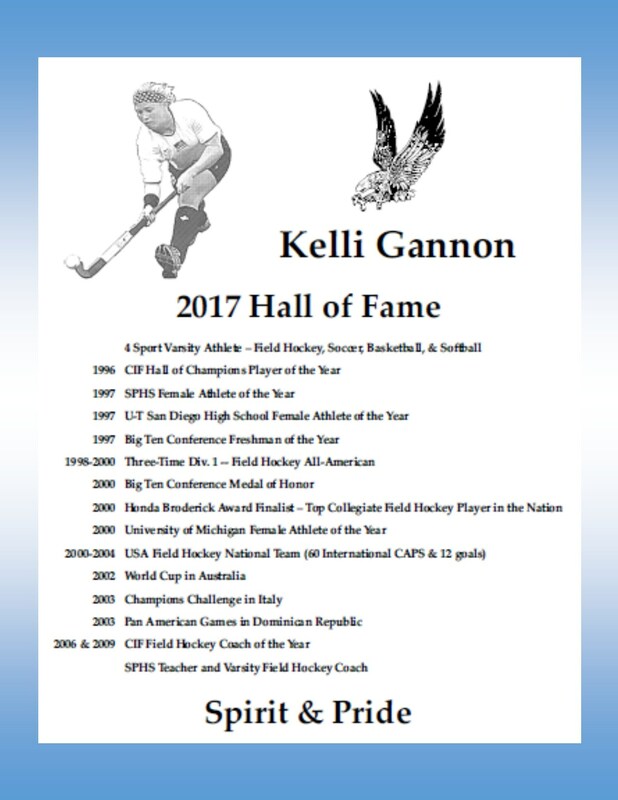 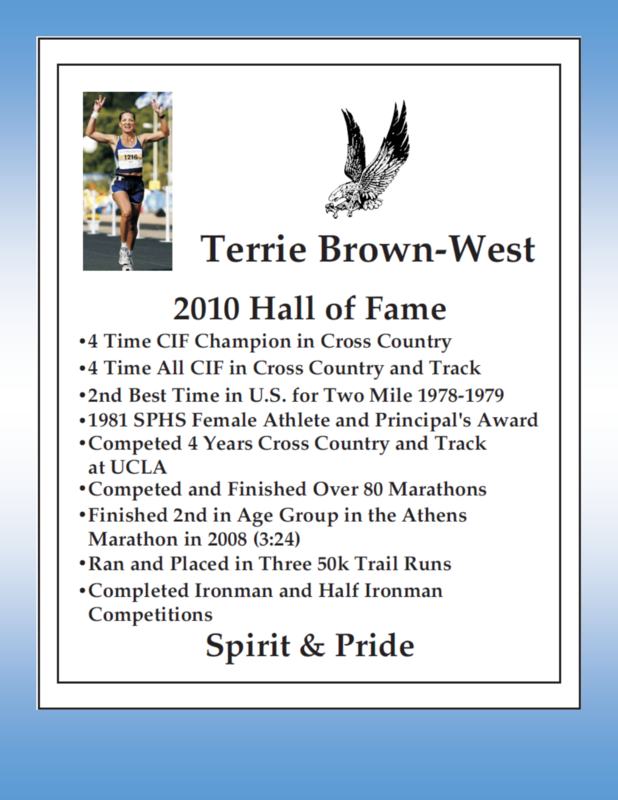 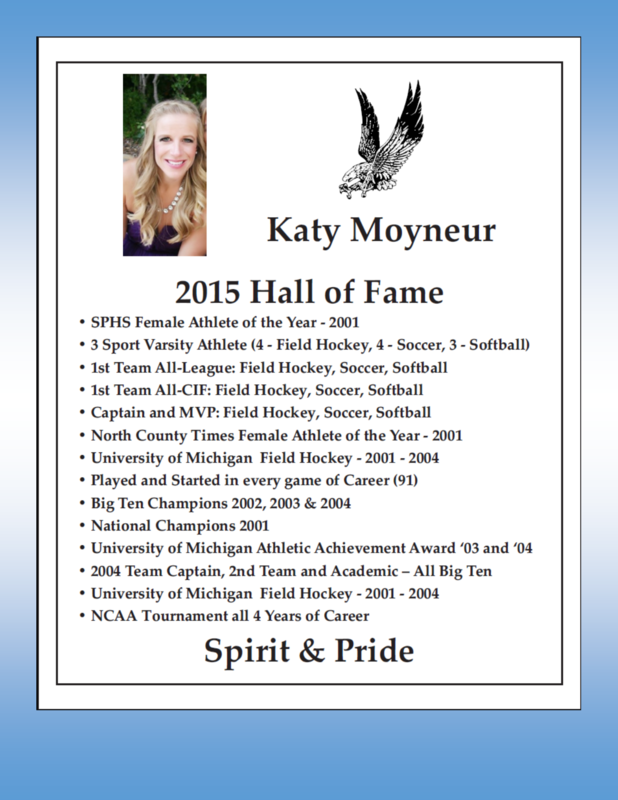 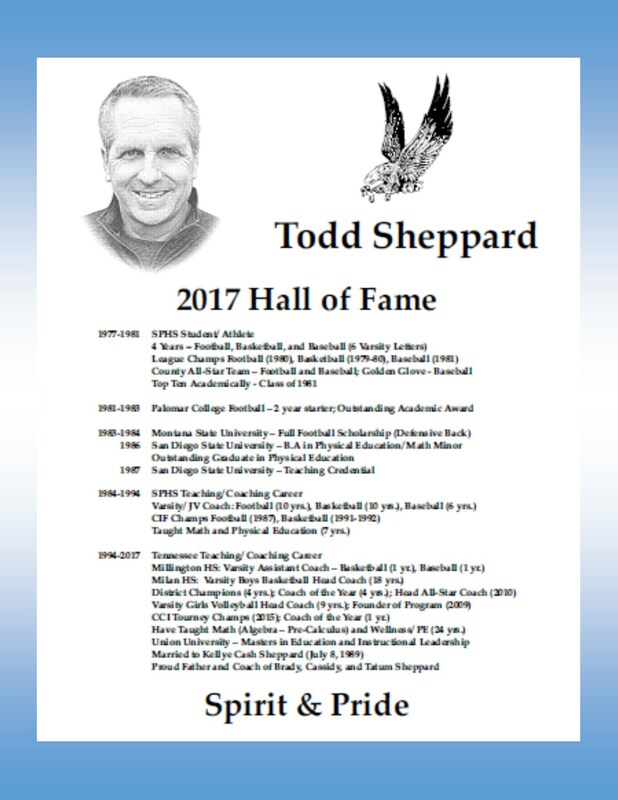 As a tribute to the athletes, coaches, and individuals who have contributed so significantly to SPHS Athletics, the Athletic Hall of Fame was established in 2008. 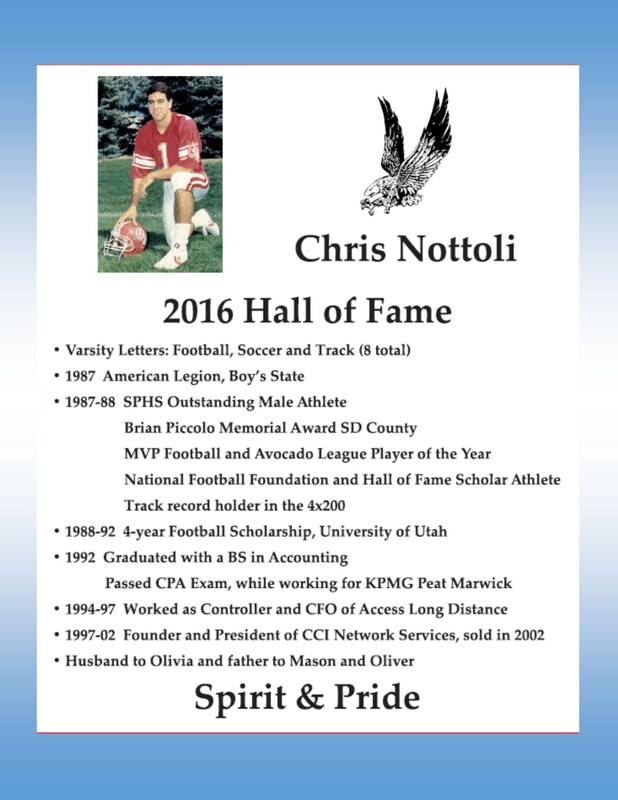 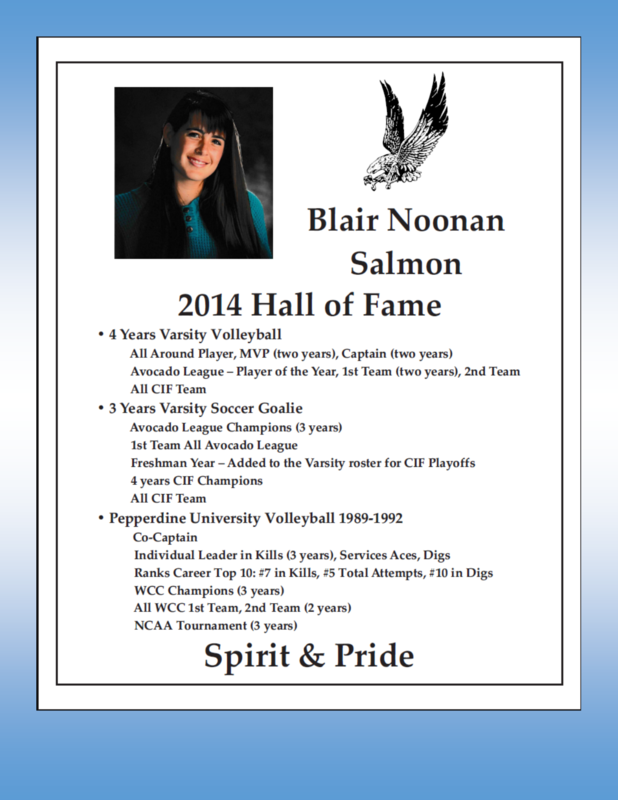 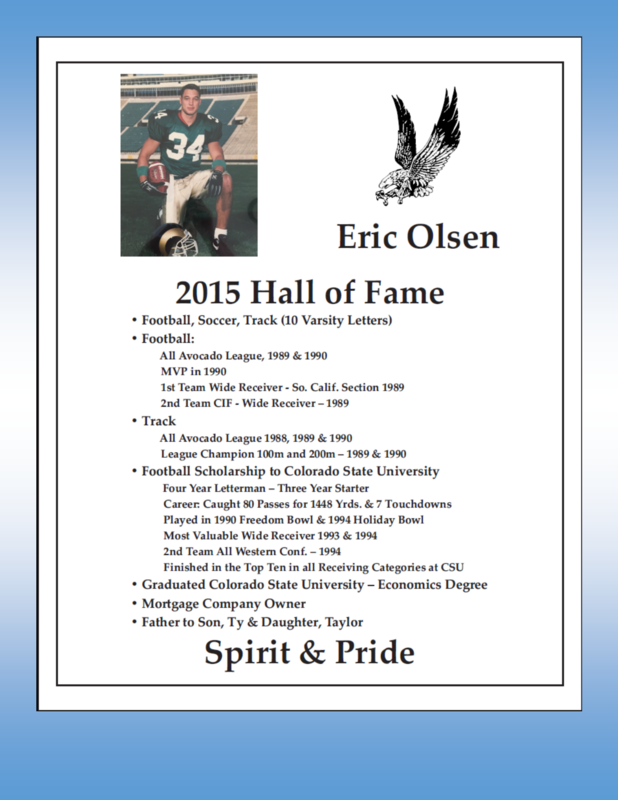 Along with athletic accomplishments, the virtues of being a scholar-athlete of character are celebrated in our Athletic Hall of Fame.